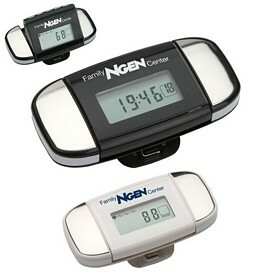 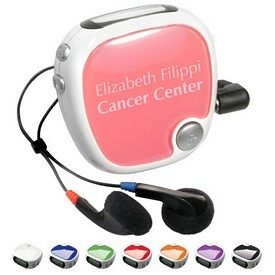 Customized Pedometers fall under our personal and health care category and are a great gift to give to your customers. 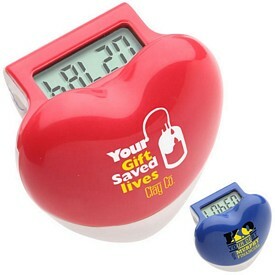 It would be an excellent business idea to use Promotional Pedometers to help market your business. 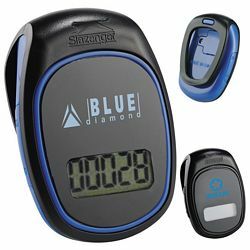 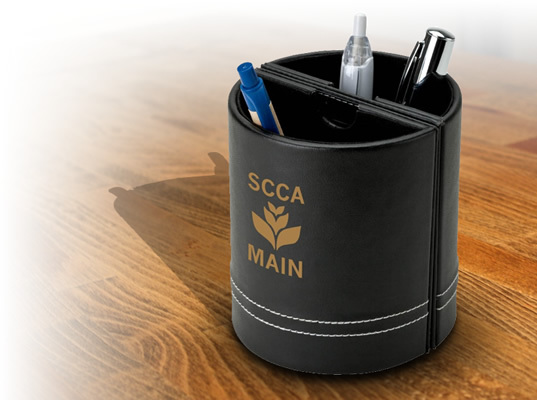 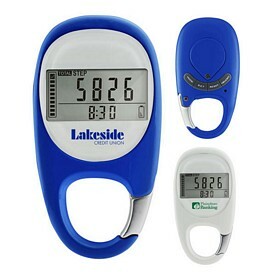 We carry a wide range of promotional pedometers that are manufactured with high-quality materials so that they can durably serve your customers. 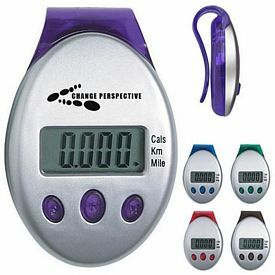 Quality products earn positive reputation for any business and that is why using Customized Pedometers is effective for business marketing. 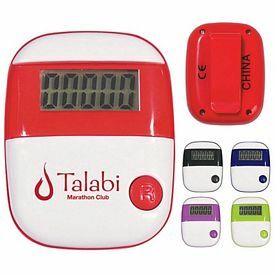 If you seek swift business growth through seamless promotional activities, you should try our Promotional Pedometers customized with your company logo. 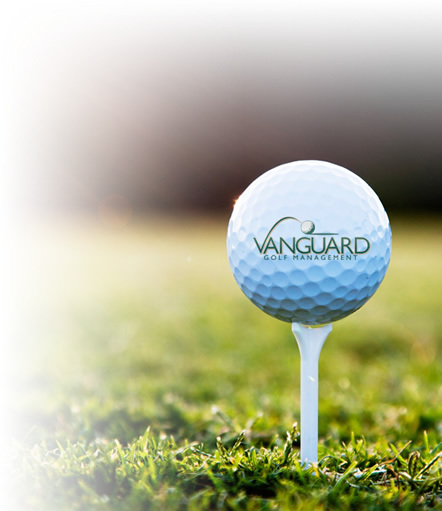 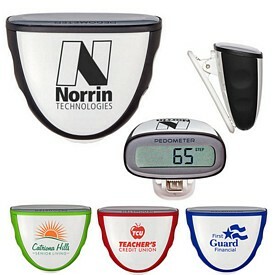 Logo pedometers feature unique characteristics, seamless design, and durable performance. 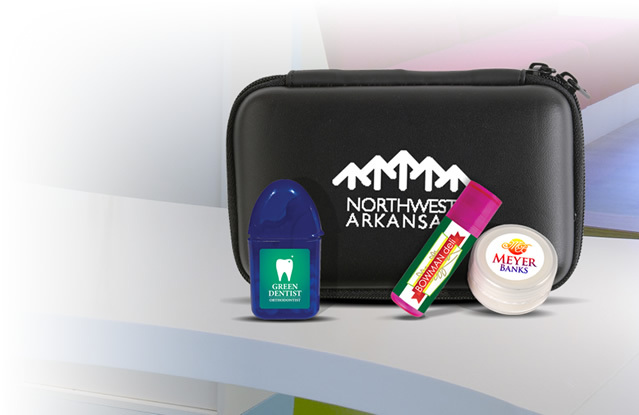 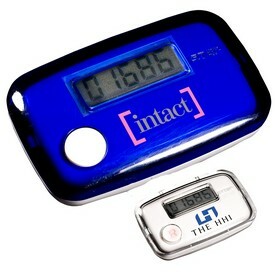 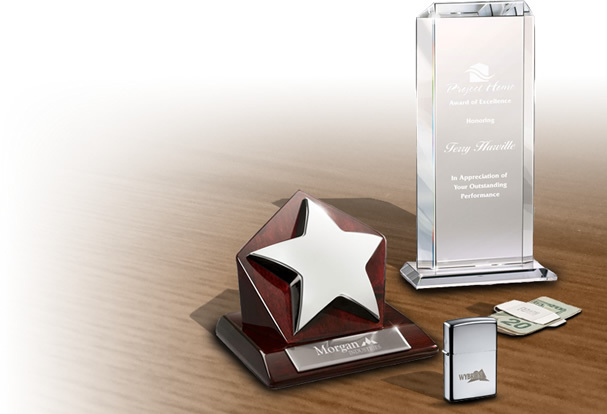 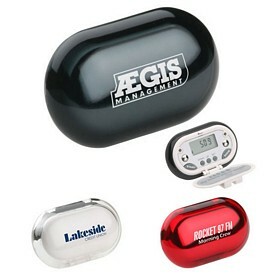 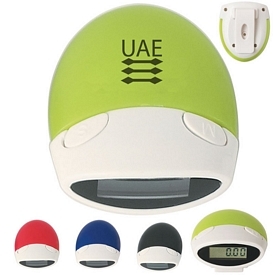 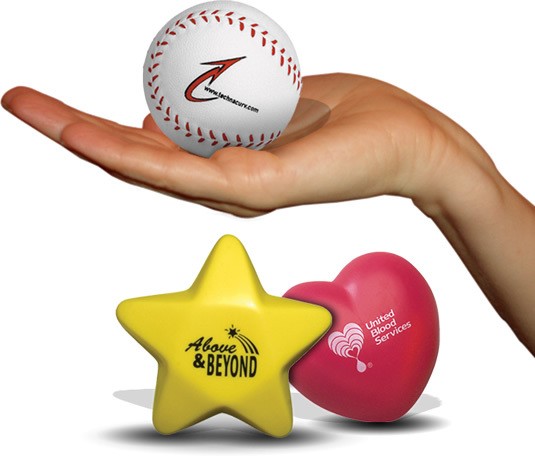 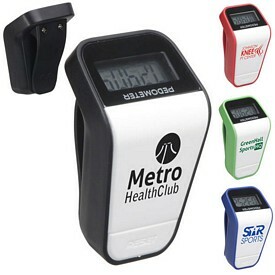 Imprint your business logo on our Branded Pedometers to enjoy top notch brand exposure. 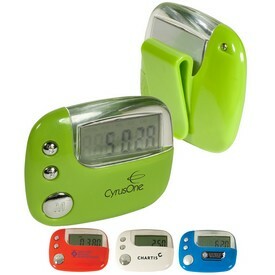 Our custom pedometers are sure to please all your customers. 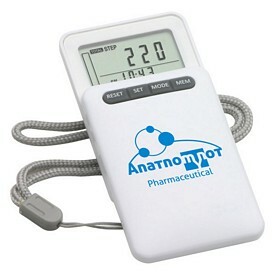 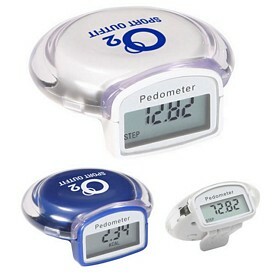 Our Promotional Clip on Pedometer is one of the exclusive custom pedometers that we offer. 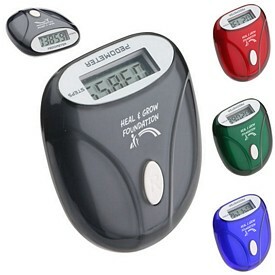 Promo pedometers feature single function easy to read display and they record from 1 to 99,999 steps. 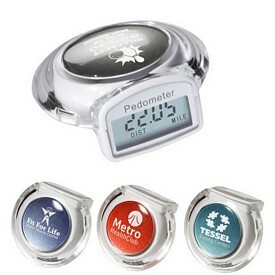 Customized Pedometers offer easy viewing for the users. 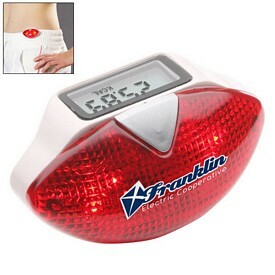 Our branded pedometers also have a clip on the back to attach to a belt. 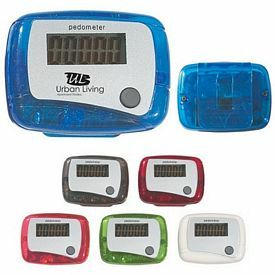 We offer many different colors for our customized pedometers. 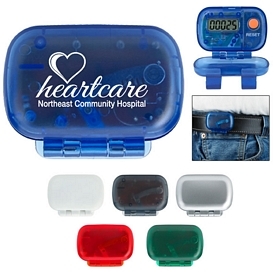 Our different color options are white with lime green, red, purple, or blue Trim, and solid black. 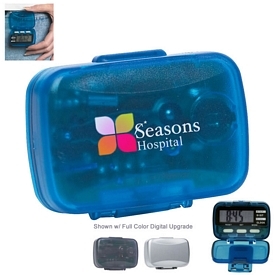 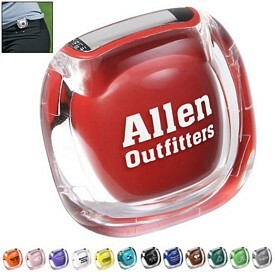 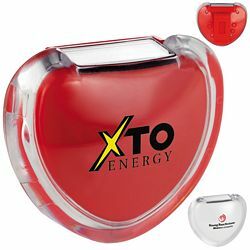 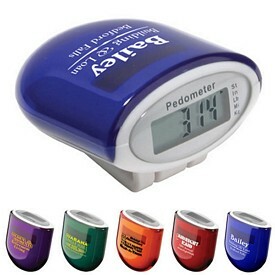 The size of this promotional clip-on pedometer is 1-3/4" W x 2-1/2" H and it contains an imprint area of 1-3/8" W x 3/4" H. We use screen printing logo decoration technology on Logo Pedometers. 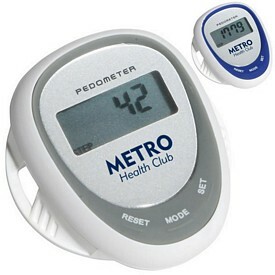 Free 24 hour rush production services, along with no setup fees features, are available with our customized pedometers. 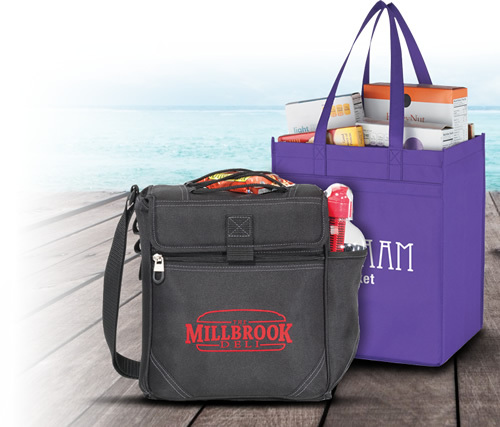 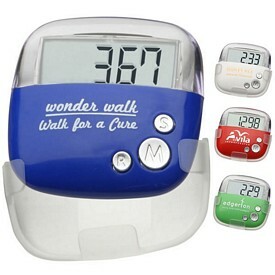 Promotional Digital Walking Pedometers are a great way to advertise your name to customers. 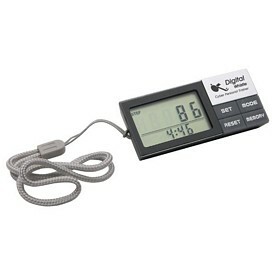 Custom pedometers are accurate and manufactured with extreme care. 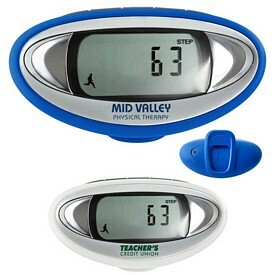 This personalized pedometer features an imprint area of 1/2" W x 1/2" H, and the logos are decorated on these promotional pedometers through screen printing technology. 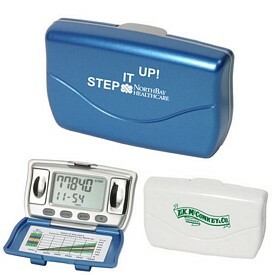 This promo pedometer features a clip on the back belt attachment, and it records from 1 to 99,999 steps. 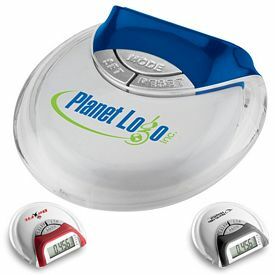 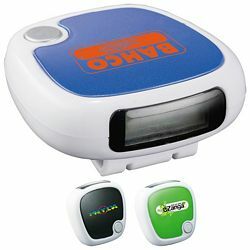 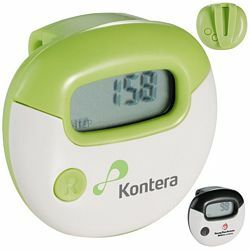 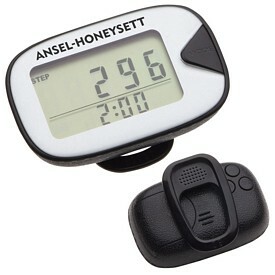 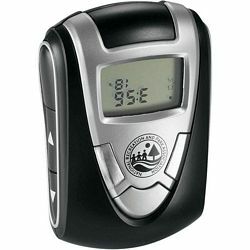 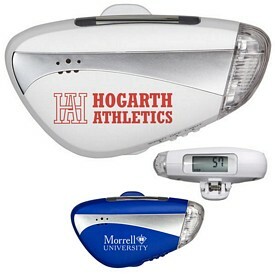 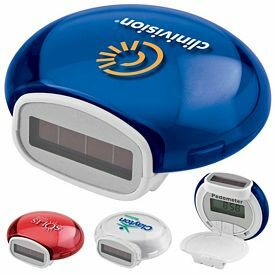 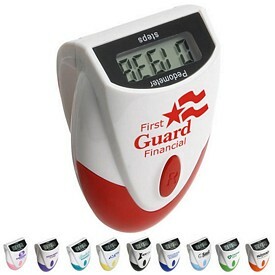 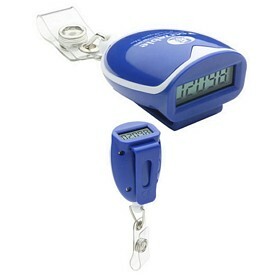 Buyers can enjoy free 24 hour rush service and no setup fees on this logo promotional pedometer. 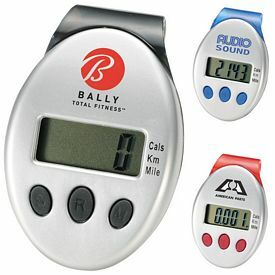 Our Promotional Gemstone BMI Body Fat Pedometer is another featured custom pedometer that is sure to please your customer. 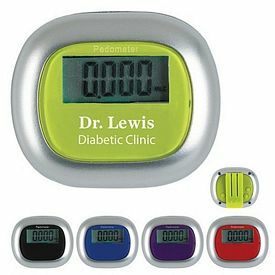 The logo imprint area is 1-1/4" x 5/8", and screen printing technology has been used to print your business emblem on these promo pedometers. 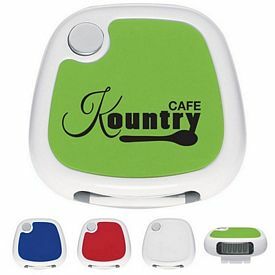 Black, green, and red are the available colors for this product. 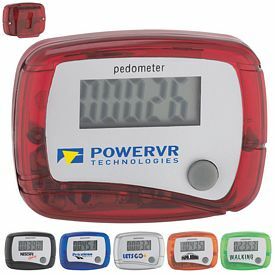 Come to The Executive Advertising for the best selection of personalized pedometers.